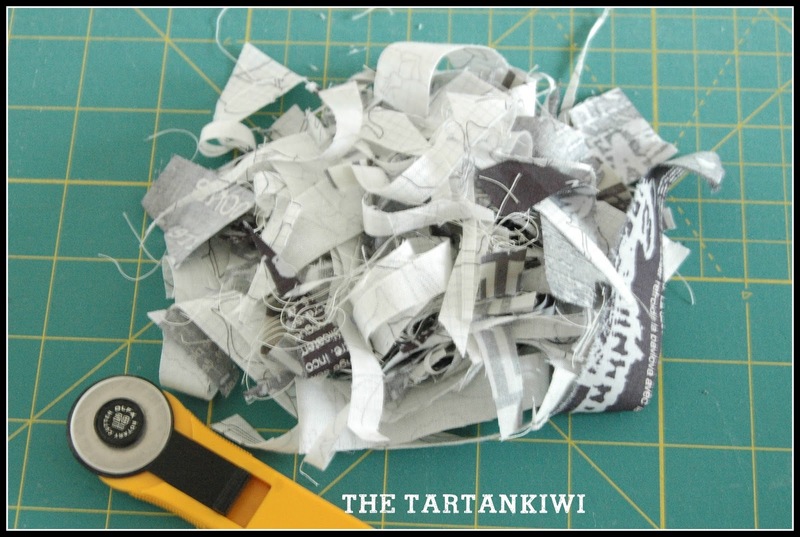 The Tartankiwi: The Advantages and Disadvantages of Paper Piecing. The Advantages and Disadvantages of Paper Piecing. 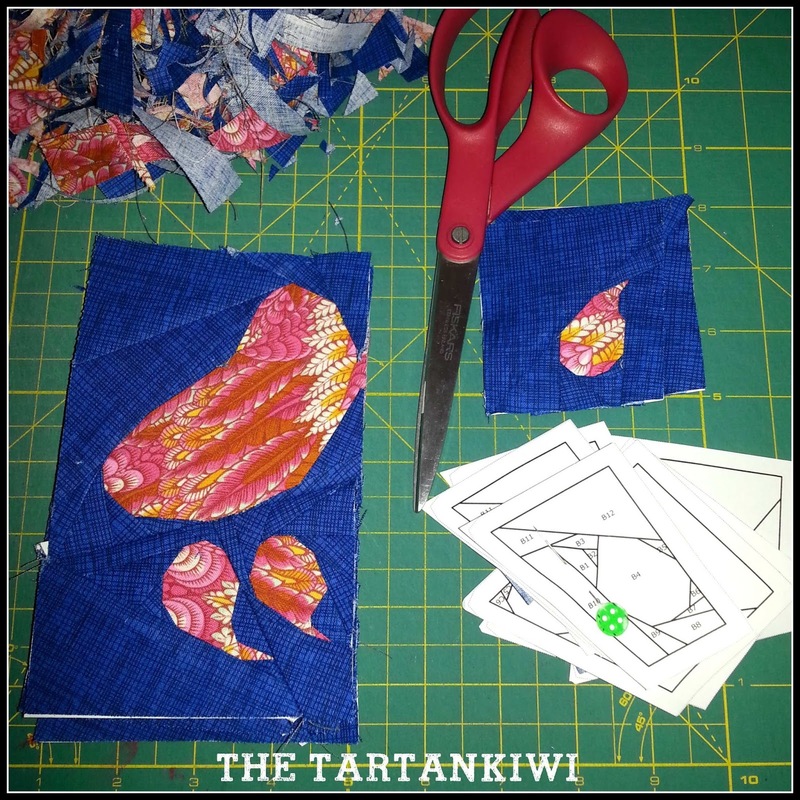 I was recently asked to name three advantages and three disadvantages of paper piecing. I thought that it sounded like a fun blog post so here are my answers. We'll start with the disadvantages shall we?! 1. Paper Piecing can severely test your sanity! Let's be honest... it can be a bit of a steep learning curve when you first start paper piecing. Its a time which can be fraught with frustration, swearing, the frequent use of a seam ripper and if you are in the wrong mood things being thrown across the room. BUT... Stick with it and it does become easier... I promise! In recent times, I have seen a few people publicly declare that they will never paper piece because it causes too much fabric wastage. Now while I will admit that there is definitely a certain amount of unavoidable wastage, I would like to point out that the degree of wastage really really depends on the methods that you employ. If you use huge pieces of fabric and don't reuse the trimmings then yes, you will waste a whole lot of fabric. But if you cut your fabrics accurately and/ or reuse as many scraps as possible,then fabric wastage can be severely minimised. The scraps in the photo above were created when I made a single large complicated paper pieced block measuring 11" x 18". The majority of the scraps are pretty tiny, but there were a few just big enough to be stored away in my tiny scraps drawer for future projects. 3. Most blocks have more than one paper foundation. This means that you have to sew the paper foundations together. Seams can become bulky if lots of them join in one place and it can be difficult to get joins to meet accurately. Mastering sewing your blocks together accurately is one of the signs of an expert paper piecer I've written some tips here if you're interested. 1. Sewing to paper you give the fabric stability. As such, it allows you to sew angles that would otherwise be impossible. Worries about fabric warping or stretching of fabric which has been cut on the bias are minimised because the paper is there to hold everything in place until the very end. Pieces which would normally be unimaginable because they are far too fiddly become easy. 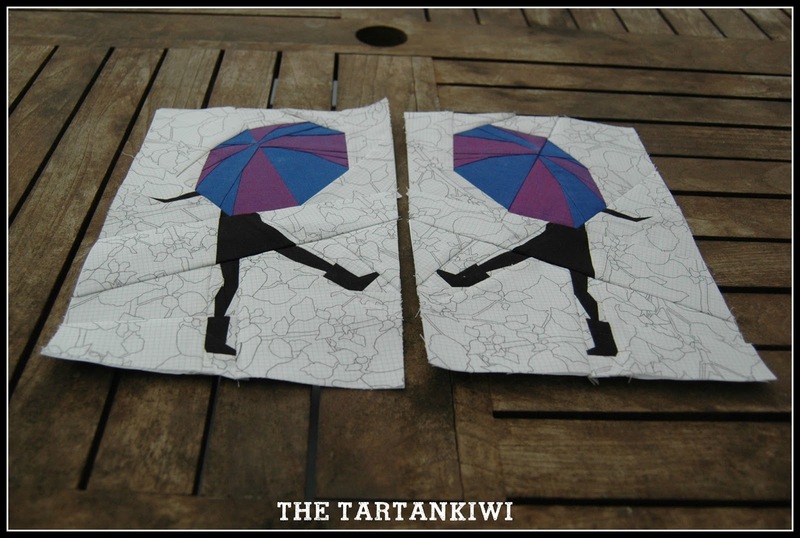 As such you are able to create amazing pictures and designs in paper pieced patterns. I just love creating pictures with fabric and it would be really really difficult to create these effects without the paper foundation. 3. 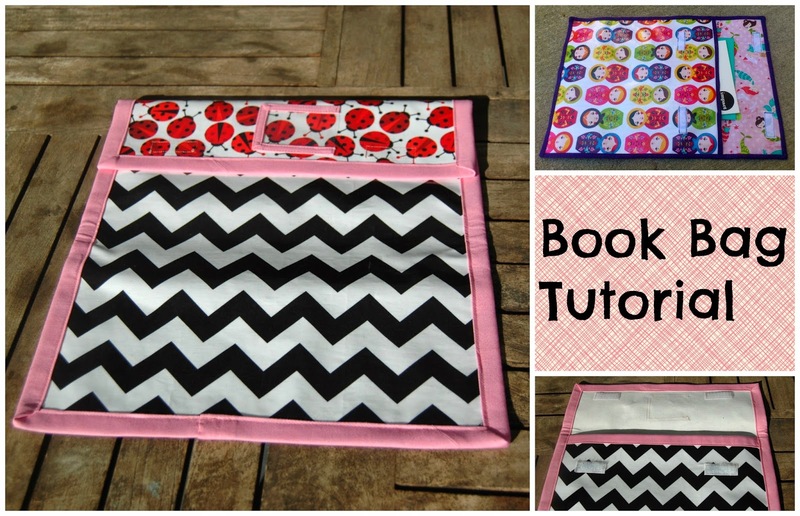 If you can sew a straight line and count then you can paper piece! Honestly, its not rocket science! Now this may seem like a bit of a contradiction after point one of the disadvantages, but its not. A few weeks ago I spent a really special morning with my friend Deb. She had once previously tried paper piecing and it had not gone well. Ever since I began paper piecing, I would see her visibly shudder at the mention of it. But as she has watched my patterns evolve, she has steadily grown more tempted and the big bear pattern pushed her over the edge. I offered to sew one for her, but she decided that she wanted to sew one herself. We started with something easier- a simple butterfly. I showed her what to do once, explained a few basics and she was off and running. I felt like a pretty slack teacher as I spent the majority of the morning drinking tea, knitting and chatted while Deb sewed. Photo Shamelessly borrowed from Deb's blog! It was amazing to see the sense of achievement that Deb emanated at the end of the morning. She is really talented with a sewing machine and sews the most beautiful quilts, but she had allowed paper piecing to form a block in her mind. I loved seeing the ease with which she stepped over her fears and started paper piecing. I now grin from ear to ear each time that I see her starting on a new paper piecing project! In the last few years I have helped a few people to master their fear of paper piecing. People who, like Deb, just needed a few pointers and someone to have the faith that they could do it! 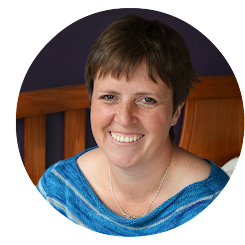 Whether it has been a few emailed words of encouragement, passing on tips that have helped me to improve my skills, writing tutorials or teaching classes, I love it all! I learnt the majority of my sewing skills from talented people online so it makes me ridiculously happy to be able to share my knowledge with others. Paper piecing is not a mystery. If you want to, you can master it too! And if you run into trouble give me a shout and I'll see what I can do to help! I love sharing my skills. Excellent blog. I just love paper piecing and am glad that there are others who enjoy it too. Thanks so much for sharing your talents. Interesting post! I think the advantages far outweigh the disadvantages!! Thank you for taking the time to answer my questions in such a fun and clear way, Juliet!